Most of the time, people don’t stress too much about charging their devices. They have chargers at the office and at home, and can recharge overnight. But when you use your device a lot during the day or are on the road travelling, you don’t want to be stuck without a connection or find yourself ducking into McDonald’s to search for an open outlet. Avoid getting lost and missing meetings with the Limefuel LP200X. 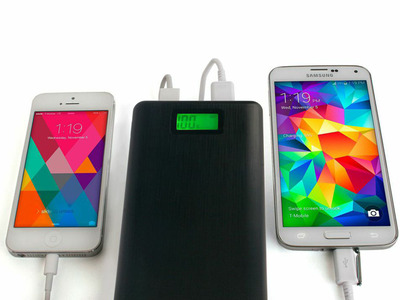 The backup battery is thin, powerful, and currently available with a 58% discount. This portable battery pack holds enough juice to refill something like an iPad Air between two and four times over. Smaller devices like a phone will charge more times still, and the Limefuel offers dual USB ports, so you can charge two devices at the same time. Meanwhile, the front screen provides an idea of how much the Limefuel has left to give, and while there’s still some juice, you can use the built-in flashlight during a power outage. All in all, it’s a pretty useful assistant to have around if you need to stay powered on a flight or when you’re on the go. The deal includes free shipping, but this price applies to the continental US only; the Limefuel is available internationally at a 47% discount. For more details on this handy sidekick, click below.